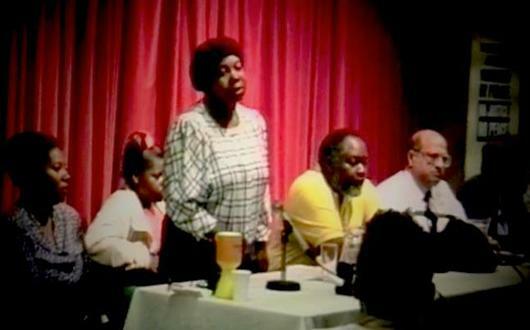 This memorial event is to mark the 25th Anniversary of the death of Joy Gardner. A screening of the Migrant Media film ‘Justice Denied’ first shown on Channel 4 will be followed by contributions to mark this important date and the collective memory of a community. Venue : West Indian Cultural Centre, 9 Clarendon Road, N8 0DD London. Marci Rigg – Sister of Sean Rigg and Chair United Families & Friends Campaign. On the 28th July 1993 Joy Gardner died when police and deportation officers used force to restrain her, tying her with a body belt and ankle straps and gagging her mouth with thirteen feet of tape. There was a national outcry when people heard how Joy had died. ‘Justice Denied ‘ hears from members of her family about Joy’s death, reports on the reactions to it in the Black community, examines two other deaths related to immigration control, that of Kwanele Siziba and Joseph Nnalue, and asks what are the political circumstances that allow these deaths to happen.